It was almost 30 years ago that Jay and Diane Haycook were Roto-tilling a small plot of earth behind their home, 534 S. Marion St., in Cardington, preparing to plant some young tree saplings when the shovel blades struck stone. The couple plucked three large pieces of sandstone from the earth and placed them aside. Later, after the trees were planted, they retrieved the stones and prepared to toss them on a rock pile. It was then they discovered, to their surprise, they had three sections of a tombstone. Loving hands had also carved a star burst figure and four arches at the top of the stone. Although the “w” was missing, probably omitted for space purposes, it is assumed the surname was Baldwin. The Haycooks then began to search and found the Morrow County court- house records revealed no death or birth records available before 1867. The Baldwin parents were not even found in the marriage records. A court- house map revealed a portion of Cardington village and the township south of it was a part of Delaware County until March, 1848, one month before Lovina’s death. A stroke of luck occurred when a check with the Morrow County Genealogical Society member, Marguerite Davis of Mount Gilead, directed the search to her next-door neighbor, Mrs. Dean Baldwin. Then the mystery began to unravel. Mrs. Baldwin’s late husband was the great grandson of Elijah and Nancy Woods Baldwin. Little Lavina would have been Dean’s great- great aunt. 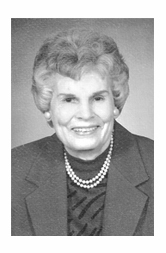 Mrs Baldwin had researched her husband’s family tree extensively and with the help of her son and daughter-in-law, Mr. and Mrs. Gene Baldwin of Florida, filled in the line of descendants. Finding the grave site of Lavina, though, came as a surprise to them. It was learned from Mrs. Baldwin that her husband’s ancestors came to Morrow County in 1831. Elijah and Mrs. Baldwin, Sr., born in Berkshire, Mass, traveled with their son, Elijah Jr and his wife, Nancy Woods Baldwin from New York settling in what now is Peru Township near Ashley. Eventually they purchased more land and in 1846 according to Delaware courthouse records, small acreage was purchased from Erastus Baldwin, no relation to the subject, by Elijah Baldwin in Lincoln Township, one year before Lovina’s birth. This part of Lincoln Township then was in Delaware County. Lovina was born April 18, 1847, the seventh of nine children born to her parents. The family moved back to Ashley, Peru Township area. A family cemetery is located on the Baldwin homestead, east of Ashley just off 229 where the Baldwin memorial stone in Ashley Cemetery bears the name of Elijah and Nancy and their nine children. However, only Lovina’s birth date is listed. The same information is listed on a family stone at the Baldwin family cemetery. Ownership of the South Marion Street property is unaccounted for from 1848 to 1874 when the property was transferred from Stephen and Nancy Brown to Nancy Baldwin, Lovina’s mother. In 1894 it was transferred to her heirs and again to her daughter, Malvina. It left the Baldwin family in 1904 when it was sold to David Donovan. Later owners were Mr. and Mrs. George McClenathan and according to their daughter, Emma McClenathan Schwartz, they were never aware of Lovina’s burial location. The Baldwin family expressed surprise at the discovery, but were content to know little Lovina is resting beneath the only earth upon which her tiny feet toddled 141 years ago. The Haycooks, who purchased the property in 1988 from Mrs. Ed Smiley, conducted no further excavation of the area which is near a large, gnarled and aged tree.